Mercedes Benz Viano is a luxury minivan for 5 passengers and a driver. The Viano is equipped with powerful 3.0 liter V6 diesel engine and air suspension. Powerful yet very quiet and economical provides intense comfort and driving experience. The flexible interior can be adjusted to extend the leg room or the luggage compartment. 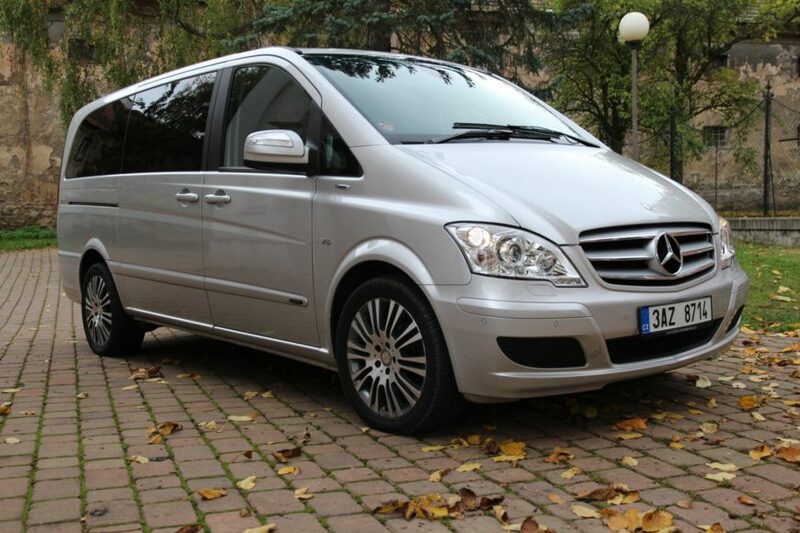 The Mercedes Benz Viano can take up to 6 large suit cases and couple of hand luggages with the extended luggage room. Apart from the – in our fleet standard – features such as GPS, USB, blue tooth radio, air condition, independent seatbelts and two zone heating, Viano is equipped with LCD TV and DVD player, electronic controlled sliding doors on both sides, panorama roof and individual fully reclinable leather seats. Traveling by the Viano is a business class experience. It drives quietly, softly and if needed, it can be also very swift.